This is really awesome. I also create a lot of hair mesh. That add-on is very helpful to my work.I will definitely buy it if it is sold.
. That add-on is very helpful to my work.I will definitely buy it if it is sold. It is sold, it’s pay what you want. I need the file just before you do the mesh cut, not after. It doesnt work on the newest 2.8 update, I made the mistake of updating and lost my old 2.8 zip :c Just thought i’d let you know. Are you talking about MACHIN3tools in general or about the mesh cut tool specifically? If anything doesn’t work, you should post an error message. As of right now, I’m not aware of any issues. In any case, both work for me, with the latest release rBd1cda823e0a8. I’m gonna push a small update now, to get you all up to date. I have this problem with Origin to Geometry since 2/3 versions of your very practical add-on. You have to run Origin to Geometry 3 times for it to work, and the object has moved the first time. It’s random, but it happens very often. I hope you can reproduce the problem, and fix it. You are not clicking the right button. Note what is highlighted when you do the click. It’s a weakness of the way pies in Blender work. If you move your mouse more to the center of the 2 buttons at the bottom, you can avoid it. It could and probably should be reported as a bug. Hi, quick question. 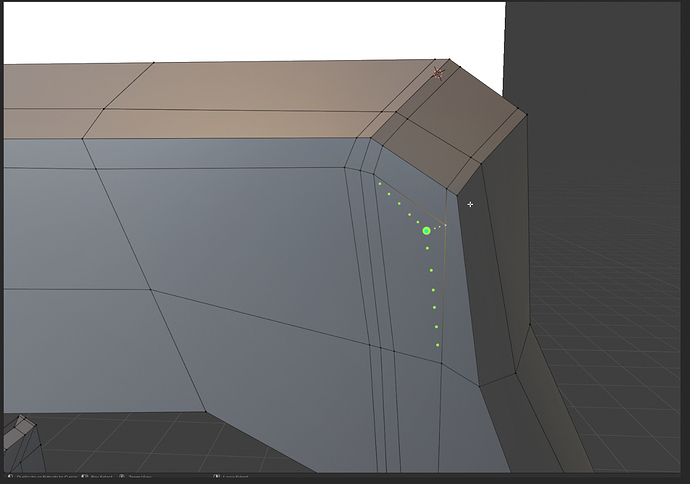 How to add Mesh Cut to a shortcut? cuz it can only be found in search bar. You can search though the key map settings in the addon through the preferences. Im not seeing “mesh cut” anywhere, could it be a function apart of another MACHIN3 addon? Ah OK I understand, Thanks. So is it possible for you to change the layout of the buttons to avoid that? For example, by using the space available at the top of the pie menu to move up Cursor to Grid and Selection to Grid. Thanks again. Change the layout and potentially impact many others who are used to the way it is…OR…you adjust your aim a bit…? Awesome! I join the request. Tell me please where to get the version for 2.79?